Located at an elevation of 2,050 meters in the Kullu District, Manali is one of the most popular hill towns in the picturesque state of Himachal Pradesh. Often referred to as the Queen of Himachal Pradesh, Manali is blessed with breathtaking natural beauty comprising of lofty snow-clad peaks of PirPanjal and Dhauladhar Range, lush green surroundings with thick forests, fruit orchards, and green-carpeted meadows.The beautiful hill station boasts a number of renowned temples. 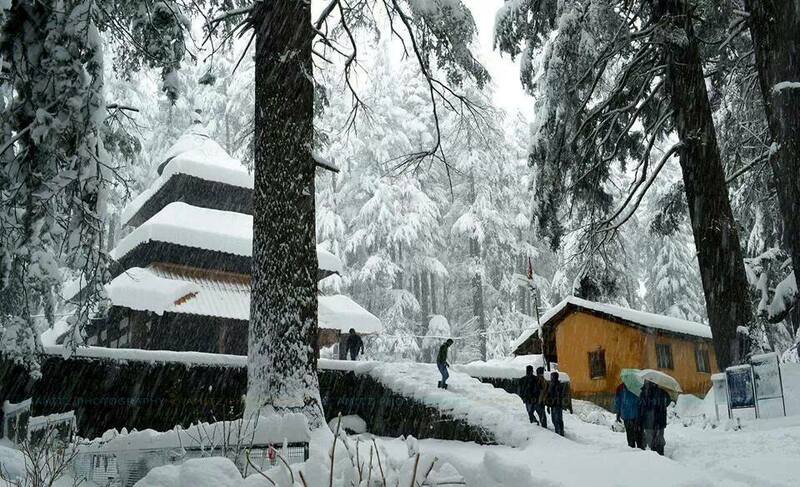 Hadimba/Hidimba Devi Temple rests in the middle of a forest called the Dhungri Van Vihar and is one of the major attractions in Manali tour packages. Hadimba Devi Temple is an ancient cave temple dedicated to Hidimba Devi, wife of Bhima, an important character in the Indian epic Mahabharata. 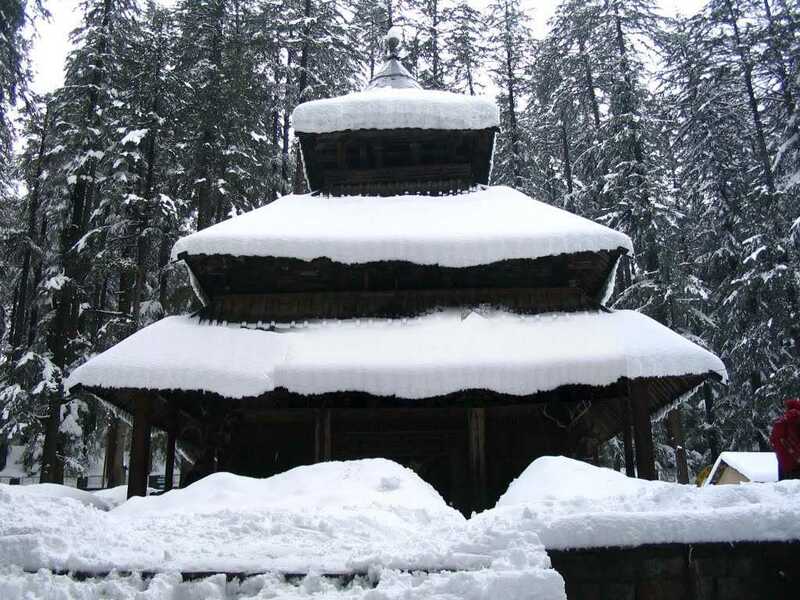 Built in 1553 by Maharaja Bahadur Singh, the temple is a wood-and-stone temple surrounded by cedar forest. With intricately carved wooden doors, the temple does not have an idol. People worship the imprint of the feet of the Goddess Hidimba carved on a block of stone. The base of the temple is made out of whitewashed, mud-covered stonework. The tower has three square-shaped roofs and a brass cone-shaped roof at the top. Inside the temple, there is a giantrock that has a 3-inch tall brass image of Goddess Hidimba Devi. 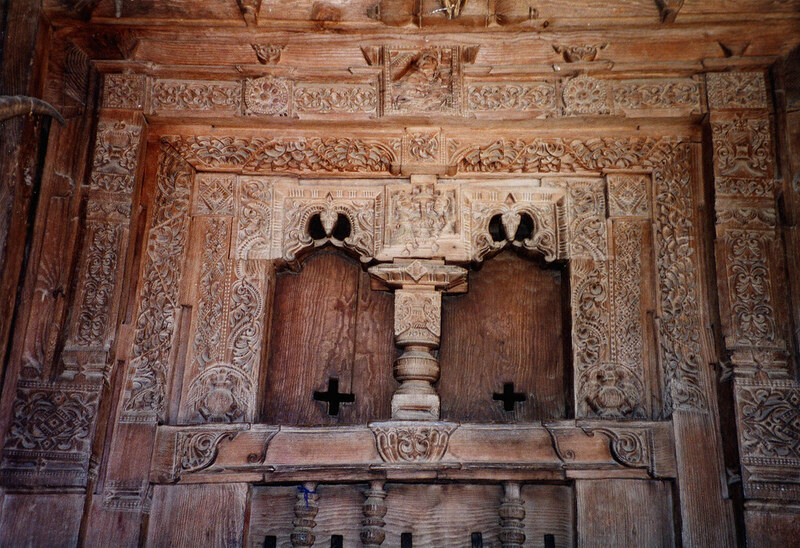 The doorway is decorated with miniature depictions of Goddess, animals, and stylised foliation. The beams above the doorway featureNavagrahas, an isolated scene from the story of Krishna. The cave temple is said to be the place where Hidimbaperformed meditation. Born into a Rakshas or Demon family, Hidimba lived here with her brother Hidimb. Hidimba vowed to marry only the person who would overpower his brave and fearless brother Hidimb. When the Pandavas visited Manali during their exile, Bhima killed Hidimb. As a result, Hidimba married Bhima and gave birth to Ghatotkacha, their warrior son. There is also a temple dedicated to Ghatotkacha about 70 meters away from the Hidimba Temple. How to Reach Hadimba Devi Temple? Located at about a distance of 2.5 km. from the main city centre ofManali, you can reach the temple by hiring a taxi or on foot. The temple is open on all days from 8.00 AM to 6.00 PM. During the month of May, the temple organises a three-day festival, which features vibrant and colourful folk dance performance. While on a trip to Manali, do not forget to visit Hadimba Devi Temple and enjoy some peaceful moments amidst the quaint green environs.